Internal stye is an ophthalmic disease that is characterized by inflammation of lobules of meibomian glands of an eyelid. 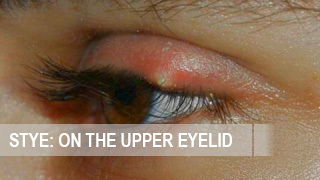 Most often, internal stye is found on the upper eyelid. 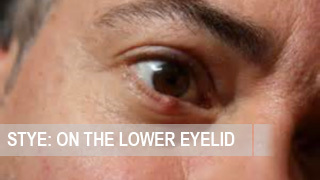 It is situated in the eyelid. However, the patient notices the constant discomfort and the presence of a foreign body in the eye. 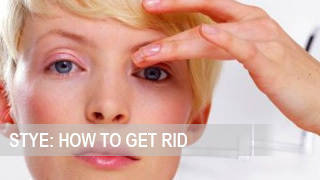 The first symptoms of the disease are redness and swelling on the inside of an eyelid. In the future, the swelling continues to grow rapidly and can reach considerable size. Approximately, on a 3d day of disease there is a capsule filled with purulent contents forming close to the conjunctiva. In next 3-4 days, stye on the inner side of the eyelid “opens”, and its contents are emptied into purulent conjunctival sac. In some cases, infiltration is not opened, but self-absorbed, or remains and thickens. 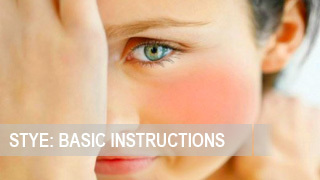 Internal stye treatment should be started immediately after the first symptoms are defined. Carrying out the treatment at home, cauterizing of the affected area with a 70% alcohol solution at the first stage of the disease may be useful. In addition, a dry heat treatment has a good effect too. To do this, use boiled egg. If you have caught the internal stye disease, it is better not to experiment, but to consult an ophthalmologist. The doctor will define the correct diagnosis and prescribe an effective treatment. 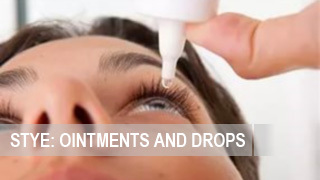 To reduce inflammation and get rid of internal stye, there are prescribed some eye drops and ointments with antibacterial action, as well look for treatments that contain polymyxin B Sulfate, which is an effective antibiotic in treating eye stye infections. 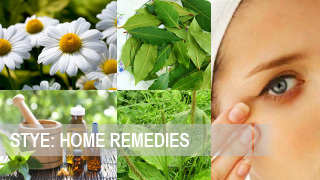 Read more about the treatment of stye using ointments here. In addition, the doctor may prescribe UHF therapy if the patient’s body temperature is normal. If the disease occurs with symptoms of acute intoxication, intake of penicillin antimicrobials. 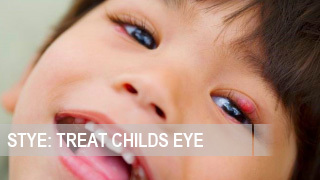 Sometimes internal stye can reach large sizes, which becomes a cause for surgery. In this case, the ophthalmologist dissects the stye capsule and removes its purulent contents. The main rule for prevention any inflammatory diseases is personal hygiene. 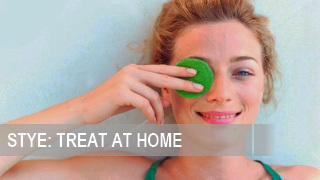 Do not touch your eyes with dirty hands, do not use low-quality cosmetics, as well as safeguard eyes from foreign bodies. 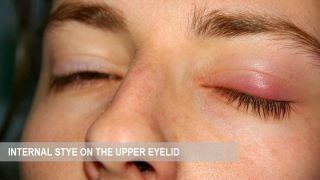 Immunosuppression is one of the causes of internal eye stye. Thus, eat right, exercise regularly, and take vitamin complexes.